or, OH thank HEAVENS it is finally over! 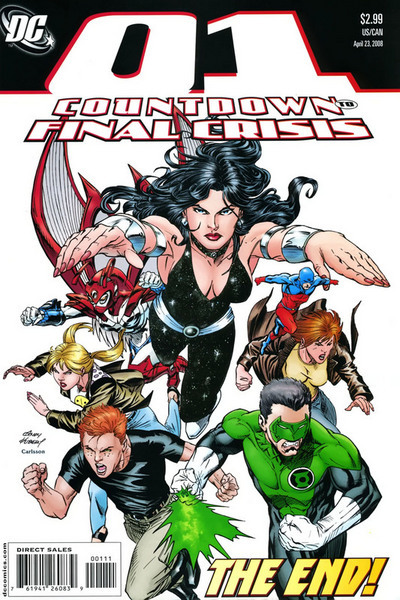 Countdown, issue number 1 (or 52, whatever), both finished off the Countdown saga, and paved a few stepping stones for Final Crisis. We opened with Jimmy whining over the state of the world, with his â€œcute alien bug girlfriendâ€ rummaging through the fridge. Jimmy Olsen is the epitome of the Star Trek ideal that all life is sacred, and there shouldnâ€™t be any differences even though you are pink, your hair is purple, and you look like an evolved cockroach. We soon move on to Ray Palmer, who is similarly whining about the world, though for him, Iâ€™ll allow some leeway considering just what has happened. The Ray Palmer story has easily been the best out of Countdown. I would pin that down to Palmer being a character that was firmly rooted and defined, compared to some of the others (Donna, Jimmy, Kyle) who seem yet to have been nailed down. However Palmer isnâ€™t left alone for long before Donna Troy knocks at his door, followed by Kyle Rainer a few pages later, and later Jimmy and Bug Girl! 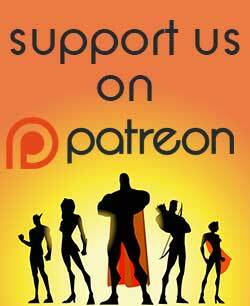 Interspersed between the Palmer residence pages we see the resolution of the rest of our Countdown leads (this is, naturally, the idea of this issue; completing stories, with small leads to make you think about what comes next. Am I hearing a Pied Piper comic coming soon?). While I wonâ€™t continue to review each panel, I will continue to state my bafflement about the treatment that Mary Marvel has copped. I wasnâ€™t a huge Marvel fan prior to Infinite Crisis (which I really want to re-read now), but Iâ€™m almost positive she wasnâ€™t a whiny 13 year old girl; and all sexism aside, she is a girl, and she is whining like her favorite toy has been stolen by her big brother! All of the chatter at the Palmer residence (yeah, I moved on) has been leading somewhere, though it does somewhat spring out at you. The latest addition to the party is Nix Uotan, the monitor who was watching over Ray Palmerâ€™s adopted universe. He informs the four heroes â€“ ie, Olsen is now devoid of specialness â€“ that they are now to be watching the watchers. I was actually relatively pleased with this issue, maybe because the art was less hodgepodge. Ray Palmer was really strongly drawn, but when he stepped in to his costume as the Atom, I was reminded again why Iâ€™m so fond of him. Mary Marvel was finally consistently drawn from panel to panel, but that may be because she only appeared in 13 panels (though Black Adam was awesome!). Apart from one panel where Donna Troy looks uncannily like Wonder Woman (and at this point Iâ€™m just nit-picking), the art was pretty solid all over. So what comes next? Dan Didioâ€™s little note at the back points out a few stories coming down the pipeline; Rann/Thanagar Holy War; Reign in Hell; Batman: RIP; Trinity and Final Crisis, just to name a few. 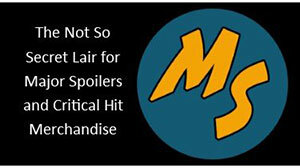 And if you check out the latest Major Spoilers Podcast, there is some discussion on the slew of Final Crisis titles, or you can check out the latest round of DC Comics Podcasts (head for the DC National panel from the NY Comic-Con) to hear for yourself. Itâ€™s all coming down to this. Next week we have DC Universe #0. This week, Countdown #1, getâ€™s 3 out of 5 for the art, and 2 out of 5 for the story! Another week of â€˜mehâ€™! That’s IT? Really? I’m not really sure I understand how it ended still, but I’m still sure it’s underwhelming. I didn’t buy a single issue of this book, and man, am I glad. To have paid 3 times 52 dollars for the privilage of having my time wasted for an entire year would have been beyond awful. Piper’s scheduled to angrily hunt down the Rogues in FINAL CRISIS: ROGUE’S REVENGE; maybe he’s gotten some new New Gods powers if he’s able to do that. I wouldn’t say it was a waste of time or money, but it sure wasn’t as good as last year’s megaseries. Although, I am glad I kept up with it the whole way. The implications and changes in the DCU were incredible; just look what they did with all the Kirby creations! Issue #2 rocked when ya think about what all happened in it, but somehow they just didn’t pull it off right. I think having Dini behind the whole thing made it more cartoony or kitsch, because of his background. Maybe Giffen should have been more editor or producer than just ‘consultant’. Or maybe it would’ve been worse! “this is, naturally, the idea of this issue; completing stories,” – and yet none of them were actually completed! Not even Piper knows WTF happened back there! Except that we shelled out for this drivel every week! Except that DC’s laughing all the way to the bank! 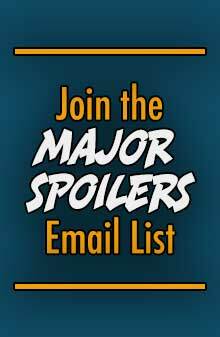 I will buy Rogue’s Revenge, and Legion of Three Worlds, and then I will curl up in a fetal ball with old JLI issues over my head, and cry. I’m not a DC guy by any means so I have no idea what this whole Final Identity Crisis Infinite Earth-2 thing is all about. Disappointing series. It had a few bright spots (w/ the art), but was overall inconsistent. At the end, do I really care more about these characters? Jason Todd? When he assumed the Red Robin mantle. Then he went back to being a brat. Donna Troy? No. Maybe in Titans. She didn’t really serve a purpose here. Kyle? No. For someone who used to be friggin’ Ion, he got PWND way too often. Trickster? Seemed written out of character just to have someone as homophobic. Mary Marvel? HEY! Black Adam has his powers back! YES! Huh? Whazzat? Mary? Oh. I’m not sure. Holly & Harley? Nope. Still laughing over how Granny Goodness ran from them on Paradise Island.